There is less than one day before we kick off the polo event of the year. The 2016 Bentley Scottsdale Polo Championships is the “World’s Greatest Polo Party” for a reason. If you have not bought your tickets yet, take advantage of the reduced advanced pricing and purchase them online before midnight tonight! Tickets can be purchased at ThePoloParty.com. Tickets are also available all day November 5th at the box office next to the main entrance. Join us for the Sixth Annual Bentley Scottsdale Polo Championships. It’s truly the World’s Most Interesting Polo Event! The Canine Couture dog fashion show, The World’s “Longest” Catwalk Fashion Show, J. Levine Art Auction, and Troon’s Hole-In-One Contest are only a small piece of The Polo Party. 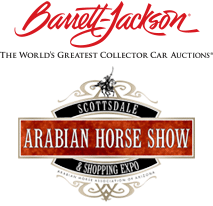 Attendees can also peruse the immense horsepower display, showcasing Ferraris, Lamborghinis, Corvettes, Vintage Thunderbirds, Bentley Scottsdale and Barrett-Jackson. The Cultural Concert will be taking place in the Mark-Taylor Luxury Living Room during the Sunset Match. Stop by one of three Alex’s Lemonade Stands, taking donations for childhood cancer research. Get your tickets now at ThePoloParty.com! The Bentley Scottsdale Polo Championships Supports Make-A-Wish Arizona! Check out our Charity Silent Auction of classic music, sports & movie memorabilia along the Main Promenade. Auction will run until 6pm, you do not need to be present to win. Great holiday gifts!